We have worked incredibly hard to ensure our clients receive the absolute best support and customer service possible and as a result we've acquired prestigious business awards that reflect these achievements . ITTELLIGENT CONSULTING SERVICES WAS RANKED #23 IN AUSTRALIA AND #419 IN THE WORLD AS ONE OF THE WORLD'S LEADING MANAGED SERVICES PROVIDERS, BY MSPMENTOR IN 2014. The MSPmentor 501 is a distinguished list and research report compiled by Nine Lives Media Inc. which identifies the world's top 100 managed service providers (MSPs) based on a range of metrics, including annual managed services revenue growth, revenue per employee and customer devices managed. In 2014 ITtelligent decided to put its reputation on the line yet again for what it believes is excellence in Customer Service in IT. ITtelligent entered the prestigious Australian Achiever Awards to get an external opinion on our customer satisfaction scores. We are very proud of what we have achieved in 7 years of operation. Please read to the right on the full Media Release from the Australian Achiever Awards. The judging process for the 2019 Australian Achiever Awards for Australia's Computer Systems, Software & Internet Services category was completed in March 2019. ITtelligent Consulting Services achieved a 95.23% overall score for Customer Service and Relations, topping all other Australian Computer Systems, Software & Internet Services businesses. The Australian Achiever Awards are an independent, unbiased awards system based on assessment ratings from a business' own customers ' an indication of a well-run business where satisfied customers are a sign that a business is healthy, worthy of praise and increased custom. When I started in this role, I recommended ITtelligent Consulting Services to my new employers as I had been dealing very successfully with them previously. So we took them on board and my employers have been very happy with that decision and my recommendation. I continue to find them proactive, efficient, and effective with solutions. Their staff are very friendly and easy to deal with and are prompt, professional and helpful with excellent communication and customer service. Rob Adelman, the Director, is very professional, friendly and approachable as well as being up front about costs and service. He has tailored a service pack to suit our business. He emphasises what he does and what the team can do for us, and I must say that in my opinion, all of his staff are more than qualified to answer or fix any repairs. I find the staff at ITtelligent Consulting Services are friendly but professional, with exceptional customer service and the ability to communicate complex technical issues in an understandable way. They are consistently high I performing compared with their competitors and really reasonably priced. We keep in continual communication remotely by the internet every couple of days and we are extremely happy with our association with them. 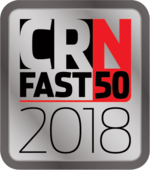 November 15 2018 we were elated to be honoured in the 2018 CRN FAST50 Awards, which acknowledges Australia's Top 50 fastest growing companies in the IT sector, based on year-on-year revenue growth. This year saw ITtelligent debut in the Top 50 following a significant revenue growth of 45.60%. While this can be attributed to the tireless work of our dedicated team, we also recognise this could not be possible without the unwavering support of all our loyal clients. As a company, we are full of gratitude and appreciation for your ongoing support. Thanks again for helping make this achievement possible for us. Robert Adelman, owner and director of local IT business ITtelligent is proud to announce that he and his team have been awarded winners of the March 2013 Momentum/3AW Small Business Award. 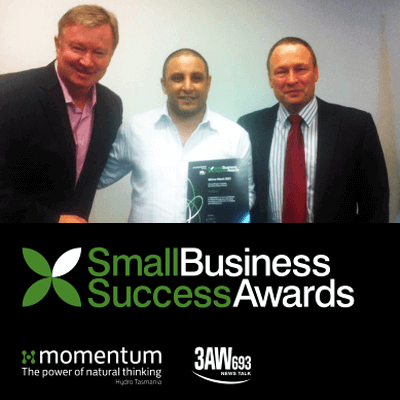 The Momentum/3AW award is designed to aid further development and reward the hard work of small businesses. ITtelligent is an IT business in Richmond which focusses on proactive IT support 24/7 designed for organisations from as little as 5 computers up to 250 computers. ... problems before they impact their bottom line utilising the company's own personally designed SmartCare system. The Smartcare system provides the entire spectrum of Windows system management tasks, which is handled by industry experts, either on-site or remotely. ITtelligent has grown enormously since its humble beginnings in 2006 where owner and director Robert Adelman launched ITtelligent from his own lounge room. These days ITtelligent is situated in the heart of Richmond in a freshly renovated office designed by a renowned interior designer and boasts an impressive list of clientele ranging from one of Australia's leading airlines to international accounting and law firms, local medical and health practices, retail, hospitality, baby care, timber and non for profit organisations. Robert began ITteliigent after he recognised a need in the market for a customer service focussed IT company that outsourced IT without locking its clients into costly contracts and could provide a cost effective fixed fee model rather than the typical ad-hoc packages. ITtelligent are thrilled to have the opportunity to be interviewed this Wednesday by Denis Walter and to be presented this award by the Minister for Small Business, Louise Asher live on 3AW. Robert and his team are determined to provide the best possible service in the IT industry and this is further demonstrated by his clients testimonials provided in the companys website http://www.ittelligent.com.au. It's time to take your it to the next level! Send us an email today to organise a free quote!